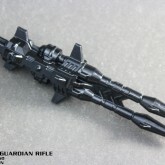 Air Guardian Rifle toy information. 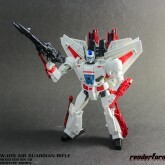 The Air Guardian Rifle is an accessory intended to go with the Generations Leader class Jetfire, and is inspired by the rifle Jetfire used in the Generation 1 cartoon. 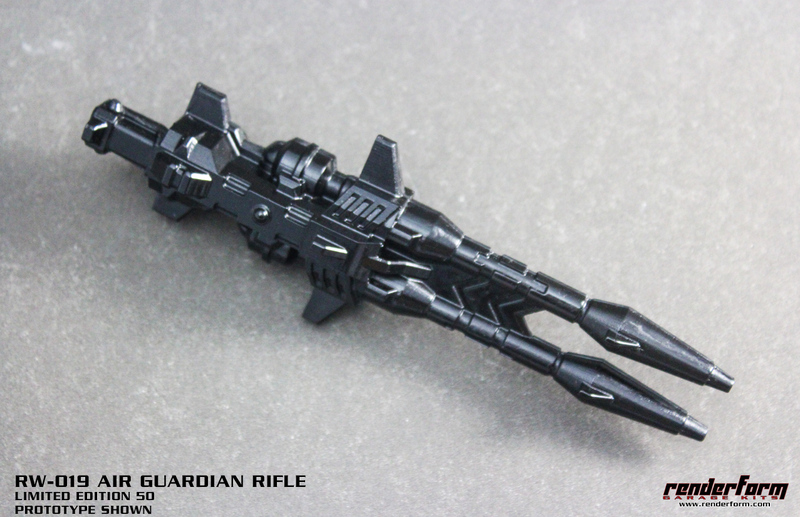 It was limited to 50 pieces, with a further run made in metallic black offered later (see separate entry).